Pollett Furniture Manufacturers has been a family business for over 40 years with Mike and Wendy Pollett still at the helm. The Polletts started in business in the early 70's when they were in their early 20's - Mike had completed his apprenticeship as a cabinet maker and they were just married. Years on and we still have a great team at Polletts, with son Daniel and daughter Rebecca now on board. We have invested in high tech, computerised machinery which gives us an advantage over the competition. 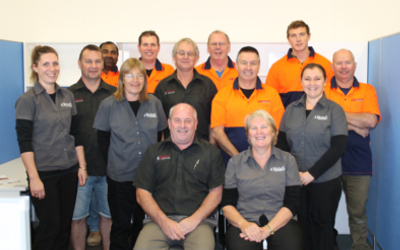 The Team at Polletts has a kiwi can-do attitude and can help you with your complete office, restaurant, hotel, motel, school or warehouse fitout... From small domestic jobs to large commercial fitouts. Visit our showroom & factory in Onekawa, Napier to view a large selection of furniture, or browse our website to view our full range of products.